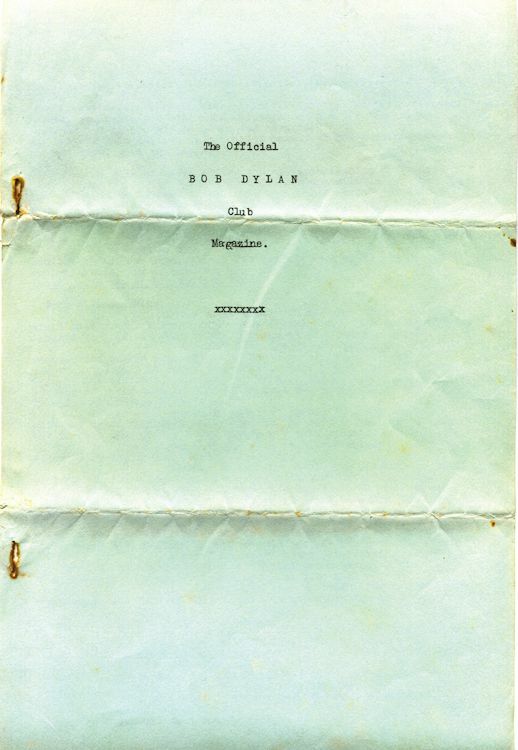 1964, two issues; this could be the first Bob Dylan fanzine/newsletter ever. Produced by "Co-Presidents" Bill Holland and Mike Stevens, the club address was Chobham Gardens, Wimbledon (UK). The first issue was titled "The Official Bob Dylan Club", whilst issue 2 was called "The Official Bob Dylan Club Magazine". 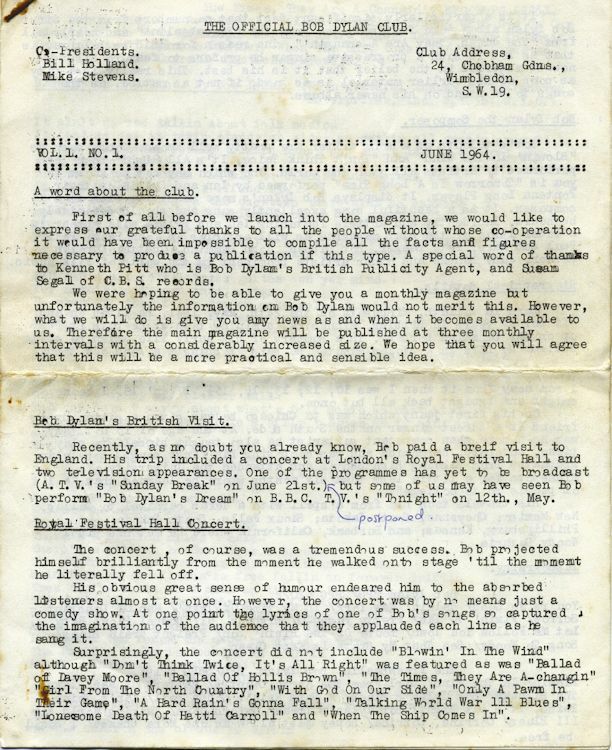 Both issues had 8 double-sided stapled pages, with a pale green paper cover on issue 2. The format of the two issues is not the same: #1 is 'Quarto' (8 x 10 inches), while #2 is 'Foolscap' (8 x 13 inches). This description comes from Isis #198, where more information can be read about this very rare early fanzine. Thank you to Derek Barker for the scans.